Welcome to UPEI's CAIRN site. From here, you can explore UPEI's digital collections and initiatives. The Robertson Library and multiple partners contribute to the multiple concurrent and active digital initatives ongoing at UPEI. Made possible through a generous private donation, IslandLives contains community and church histories and it builds on the Robertson Library’s mission to preserve and share unique material relating to Prince Edward Island and demonstrates UPEI's ongoing commitment to making PEI's cultural and published heritage available to all. Explore Prince Edward Island's sociocultural and political history through digitized newspapers dating back to the early 1800s. The contents of these collections reflect the Island's evolution and provide source materials for researchers and the public. Browse or search our expanding collections to learn more of the events, people, and trends that shaped the early Island. 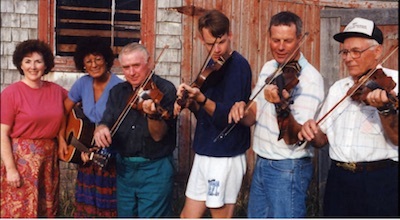 The first phase of Island Voices (2010 - 2012) is a project focussing on the digtization of one of Prince Edward Island's most important collections of folklore and oral history field recordings, the Reg "Dutch" Thompson archive. Future phases of the project will develop a more comprehensive online archive of PEI spoken word and music recordings. IslandScholar (IS) is the institutional database for scholarly publications by the UPEI community. It is a project of the UPEI Robertson Library and supports the goals of the University's Research Strategic Plan and the Senate Open Access policy.